Jasmine Pearls is a famous premium jasmine green tea from Fujian Provice in China. Young leaves are rolled into pearls and are scented with fresh jasmine blossom. This tea produces a refreshingly fragrant, sweet and floral liquor that is highly addictive! Jasmine Pearls is a premium scented tea that originates from the famous Fuding tea growing area of Fujian Province in China. Mo Li Zhen Zhu Cha (茉莉珍珠茶) is also sometimes known as Jasmine Dragon Pearls or Phoenix Pearls. It is grown in a fully organic tea garden at an altitude of 800-900m. 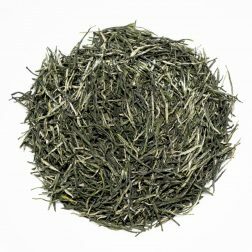 Jasmine Pearls green tea is made by hand by tightly rolling fine leaves and buds to form tiny pearl shaped balls. The pearls are left in a darkened room where up to six layers of tea are alternated with layers of fresh jasmine blossoms. When the pearls soak up the jasmine scent, the blossoms are removed and the pearls are dried out again to remove any moisture that was acquired during this scenting process. 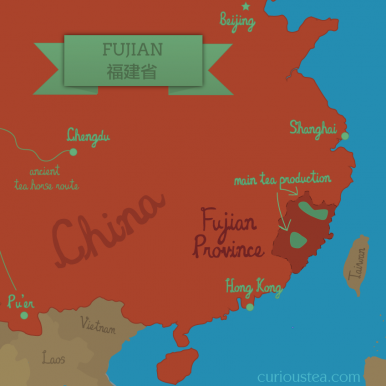 Jasmine tea is highly regarded in China and is often used as a welcoming gesture to guests. 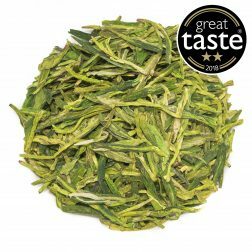 This Jasmine Pearls green tea is created using the finest leaves consisting of a bud and one or two small leaves. The tea pearls unravel when brewed, releasing the heady and fragrant jasmine aroma. The liquor is a light green colour, while the flavour is slightly nutty, sweet, dominated by jasmine and honey. The first infusion tends to have a stronger jasmine scent while the tea flavour is not so strong. Second infusion is more balanced, with a lighter jasmine scent but a more complex tasting cup. It is best brewed at 80°C for 2-4 minutes, with multiple infusions, using glass teaware to enjoy the unfurling leaves. Try brewing for longer, especially on the second infusion to bring out the honey notes and to increase the heady jasmine fragrance. This tea also works great as an iced tea or simply cold. To make it, brew as you like it, decant it to a jug or bottle and once cool, store in the fridge. It makes for a great and refreshing drink! If you are feeling adventurous, mix cold jasmine tea with lychee juice to taste (try 1/3 juice to 2/3 tea) making a simple yet tasty non-alcoholic cocktail. 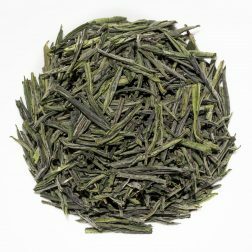 This particular Jasmine Pearls green tea was featured in our March 2017 Curious Tea Subscription Box.